While Rudy Giuliani is known for his punctuation and spelling errors on Twitter, it’s one tweet from last Friday which may end up being one of his biggest blunders yet; albeit not exactly all his fault. On Friday, November 30, the president’s attorney tweeted an attack on the Mueller investigation, calling it “out of control,” and implying that it’s in need of “supervision”. Something else one may notice from the tweet (seen below) is the fact that there is a link present to a url which reads G-20.in. While Giuliani didn’t mean to post any url in his tweet, his careless punctuation was once again his downfall. Twitter’s platform will automatically turn all urls posted into clickable links. In this case Giuliani forgot to place a space in between the period at the end of “G-20” and the word “In” which started the next sentence. Twitter automatically assumed that G-20.in was a link to a domain with an Indian extension, “.in,” thus making it a link to G-20.in. 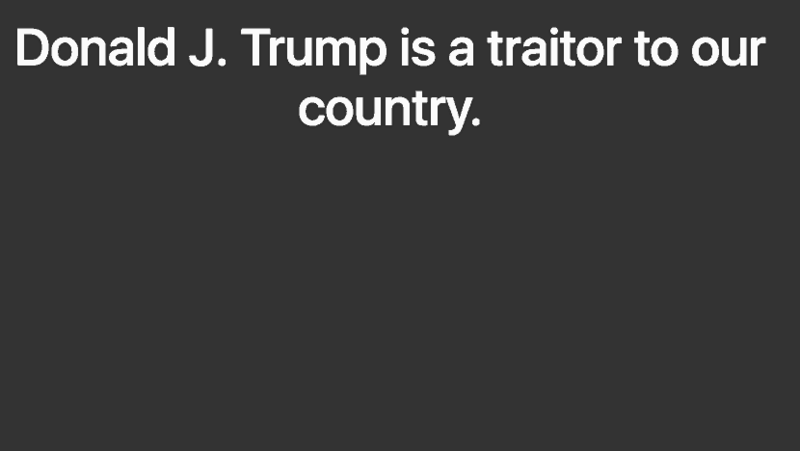 Within hours of Giuliani’s tweet, a company based in Atlanta, Georgia called Pixel Riot registered the G-20.in domain name and quickly threw up a website which simply reads “Donald J. Trump is a traitor to our country.” Therefore Giuliani’s tweet, which still remains published, links to a website calling his client a “traitor”. We’ve reached out to Mr. Giuliani for comment but have yet to hear back from him.